I recently stumbled across this post about Outlook.com accounts which talks about being able to give out a temporary valid email address, without having to reveal your main account – something you can also do in MDaemon Messaging Server. The ‘sub-addressing’ feature in MDaemon has been around for years but it’s one of those that’s often overlooked because it’s a little buried in the account options section. Why bother with multiple email addresses? You only have to think of the amount of times you get those bulk-type spam emails from random senders you don’t recognise. How did they get your email address in the first place? If you’ve only ever used the one address, it’s nigh on impossible to tell, but by creating a new and unique address each time sign up for anything, you’ll know right away how it got out in the wild. Any other reasons I should do this? As well as the added security of knowing who has your email address, having different addresses make routing mail into specific folders a lot simpler and helps prevent your inbox from getting clogged up. 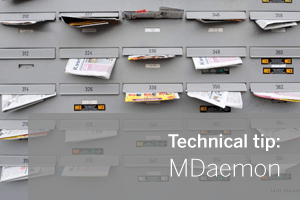 Because you can think of these email addresses as disposable, it’s also very easy to quickly stop using one by removing the folder they route to which means MDaemon will treat that address as no longer being valid. What does a temporary address look like? To create a ‘sub-address’ from your main address simply add a ‘+’ symbol along with any additional text before the ‘@’ symbol in your email address. So for example, user fred@bloggs.com can have sub addresses such as fred+groupon@bloggs.com or fred+bt@bloggs.com. Sounds good – show me how to set it up! 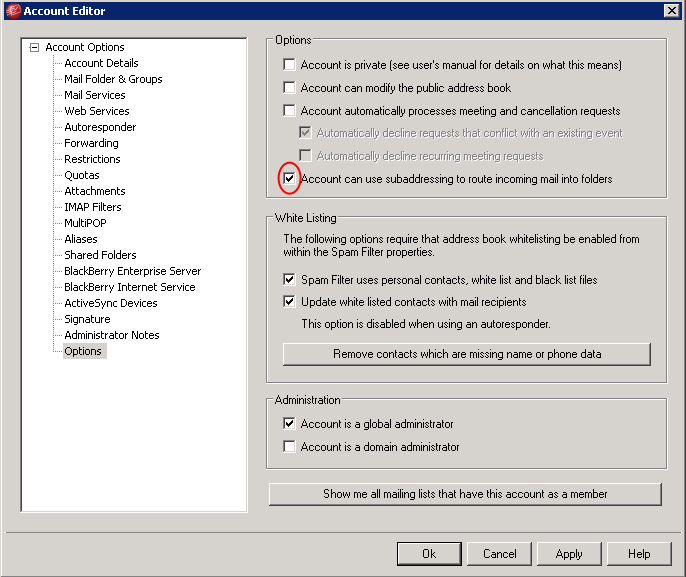 Once you’ve turned it on for an account, all a user needs to do is create folders in the root of their mailbox (this can be done in the client, Outlook, WorldClient or any other IMAP client). As soon as any given folder exists,you can use the sub addressing in the format user+folder@domain. Please note the folder must be in the root of the mailbox not under ‘Inbox’ and must exist with the correct name for MDaemon to use it. So next time you find you need to sign up using an email address but you don’t really like the idea of using you main address why not set up a quick sub-address and make sure you know exactly who has sent it.